The 20-year industry veteran will lead the company's sales team. "I look forward to showing healthcare providers how Medpricer's purchased services sourcing platform can help them wrap their arms around categorical spend and deliver 20% savings, 40% faster to their organizations," said Piotraczk. Medpricer, the leading purchased services cost management solution for the healthcare industry, today announced Steve Piotraczk will join their executive team as the company's Chief Revenue Officer. In this position, he will lead Medpricer's business development and sales team in providing best-in-industry purchased service management solutions. Piotraczk joins Medpricer from Curvo Labs, where he was an Advisory Board Member and past Senior Vice President of Sales. 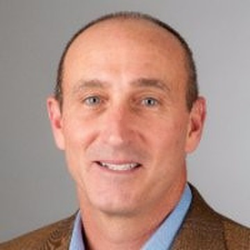 With more than 20 years of experience in sales and marketing in the supply chain software and services industries, he has held sales leadership positions at SAP, Ariba, FreeMarkets, JM Solutions, Reynolds and Reynolds, and General Motors. As Chief Revenue Officer, Piotraczk will help Medpricer's clients lower costs and improve quality using Medpricer's cost management platform and its industry-leading sourcing services. To date, Medpricer has characterized and benchmarked nearly $130 billion dollars in purchased services spend and has run $3.4 billion dollars in contracts through its electronic negotiation platform. Medpricer customers have seen over $690 million dollars in documented savings. "We warmly welcome Steve to our growing team," said Medpricer CEO Chris Gormley. "Steve's unique blend of supply chain sourcing and procure-to-pay sales expertise will immediately help impact our client's financial results and the growth of Medpricer's industry-leading purchased services cost management platform." "I'm greatly honored to join Medpricer's mission of optimizing the financial and operational health of their clients," said Piotraczk. "I look forward to showing healthcare providers how Medpricer's purchased services sourcing platform can help them wrap their arms around categorical spend and deliver 20% savings, 40% faster to their organizations."